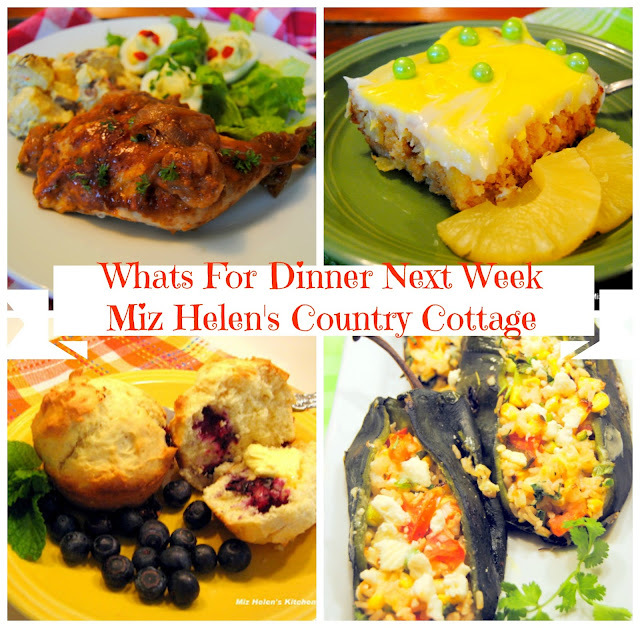 We are having a busy week here at the cottage, and I am so glad that I have meals planned ahead. We are in the process of putting the kitchen cabinets back in order after a little paint and spring spruce up, I will be so happy to get back to our regular kitchen routine. My neighbor brought me some fresh chickens, so we will be having some chicken on the menu this week and I am glad you are here to share the meal plan process with me. Thanks so much for stopping by to spend some time in the kitchen with me today. Your visits are very special to me and I always look forward to seeing you here at the cottage. Have a fabulous week and come back to see us real soon! Looks delicious as usual Miz Helen!